Measurements: 35mm along the 2 shorter sides and 38mm on the longest side. 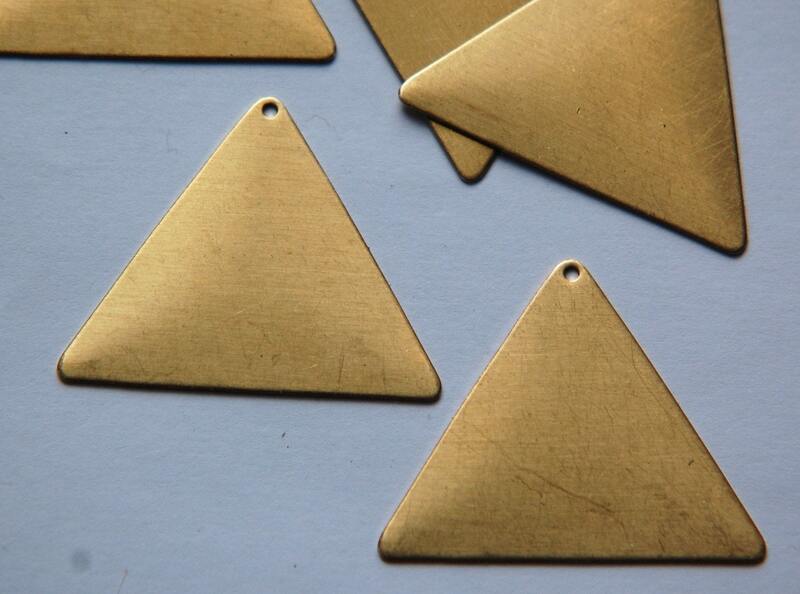 Characteristics: Flat triangle with slightly rounded corners. There is 1 hole at the top. always great product and shipping! Yummy treasures is my all time favorite shop to order from! Always love what I receive and they are unbelievably FAST shippers! Thanks so much! Your awesome! Merry Christmas!